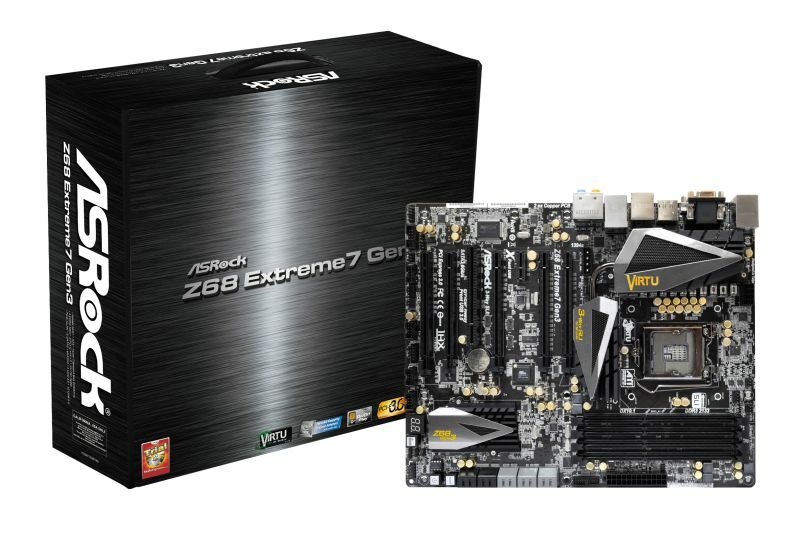 TAIPEI, Taiwan, August 26, 2011 – Motherboard giant, ASRock Inc. today announced their Z68 Extreme7 Gen3 motherboard now offers the latest XMP 1.3 support. It enables an easy and robust solution for extreme users to take advantage of the future memory standard. XMP 1.3 memory standard will be announced with the next-gen X79 chipset in the fourth quarter of this year. However, ASRock is the first motherboard maker to apply XMP 1.3 support to the current Z68 motherboard, letting user to be the first to try this new technology! ASRock Z68 Extreme7 Gen3 is the world’s first motherboard coming with XMP 1.3 support to deliver the extreme memory settings. Plus, there’s a couple of extra goodies thrown in this board, such as Nvidia NF200 chip onboard, PCIe 3.0 spec, ASRock signature XFast LAN, XFast Charger, XFast USB.. and so on. Who cares about XMP 1.3 when they can't even fix a critical stability bug in Z68 Extreme4 in THREE MONTHS! !